Here the reader will find a quick introduction to the Paleo diet, the philosophy behind why it works, and a brief summary of some influential clinical studies that show the Paleo diet to be the optimal human diet. The Paleo diet, also known as the caveman diet, primal diet, or ancestral diet, refers to the diet of or human ancestors during the Paleolithic era. This period of time lasted around 2.5 millions years, ending with the invention of agriculture around 10,000 years ago. The philosophy of the Paleo diet is that humans are genetically adapted to the diet of our Paleolithic ancestors. For two million years human beings roamed the planet in search of wild fruits and vegetables, while hunting game meats. It was only with the advent of agriculture that cereal grains, dairy, refined sugars, refined cooking oils and alcohol became staples of the modern diet. In fact, 70% of the total energy consumed by citizens of the US of A comes from these new energy sources. Proponents of the Paleo Diet, and we here at the Tribal Way are, believe that this massive divergence from our ancestral diet to the modern diet of processed foods is the reason for the skyrocketing rates of obesity, diabetes, heart disease and some forms of cancer. Luckily for us, there are people that living on this earth that remain uninfluenced by the trappings of the modern food industry. They are hard to find, but they are out there. One population of such people lives on the Island of Kitava off the coast of Papua New Guinea. The Kitavan’s eat a diet of root vegetables, fruits, coconuts, vegetables and fish. Dr. Staffan Lindeberg and his colleagues studied the Kitavan’s to ascertain their levels of health. They were found to have NO incidences of heart disease, stroke, diabetes, or even acne. The elderly showed no signs of dementia or loss. 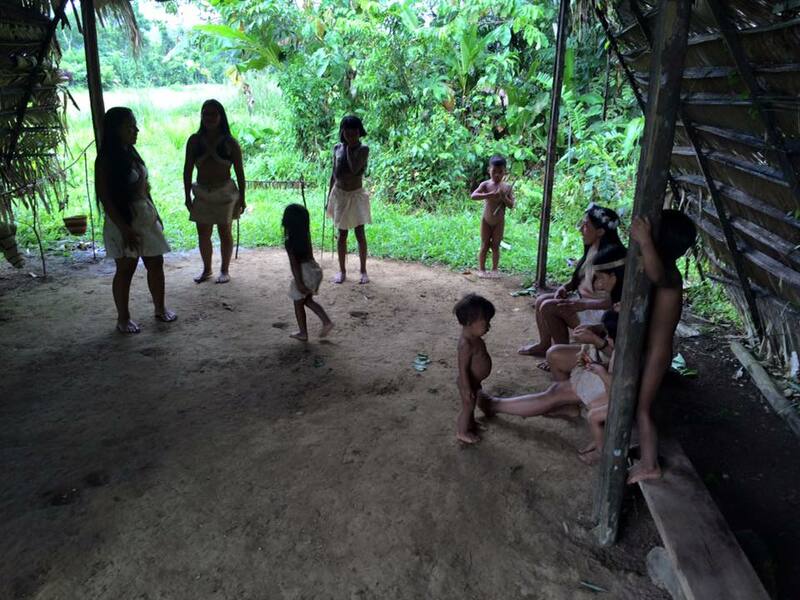 In a meta-analysis of the health profile of modern day hunter-gather civilizations including the Bushmen of Africa, Yonomamo and Xingu tribes of the Amazon, as well as the Kitavans found these tribal societies to have..
Our observations of traditional societies show them to have remarkable health. But couldn’t there be an abundance of possible confounding variables that lead to their great health? To counter this, there are two lines of evidence. One is that when tribal societies deviate from their traditional diets they begin to exhibit the same diseases that we get in modern life. The second is the remarkable results we have seen in intervention studies of people being put on the Paleolithic diet. In a study conducted by the department of Neurobiology at the Karolinska institute in Sweden 14 healthy volunteers were instructed to go on the Paleolithic diet for a period of three weeks. The participants were instructed to eat as much as they wanted of fruit, vegetables, lean meats, nuts, flax, coffee and tea (without dairy). They were allowed to eat, but only two servings a day of dried fruit, potatoes, salted and fat meat and honey. The participants were NOT allowed to consume dairy, grains, canned food, sugar and salt. After three weeks the participants had lost on average 5 pounds and improved their systolic blood pressure. Dr. Staffan Lindeberg designed a study where he put patients with ischemic heart disease, type II diabetes and borderline obesity on either the paleo diet or a Mediterranean diet. The Mediterranean diet consisted of : whole grains, low-fat dairy, potatoes, legumes, vegetables, fruit, fatty fish and omega 3 rich vegetable oils. The Paleo Diet consisted of: lean meat, fish, fruit, leafy and cruciferous vegetables, root vegetables (including moderate amounts of potatoes), eggs and nuts.The difference between the two diets is that the Paleo group does not allow whole grains, dairy and legumes (and only a moderate amount of potatoes). After the 12-week trial was over both groups had shown considerable improvement. However, the Paleo group was the clear winner. Of the 14 people in the Paleo group with elevated fasting glucose or diabetic fasting glucose all of them ended up with normal fasting glucose after the study was over. The average person in the Paleo group lost quite a bit of weight as well, going from 201 pounds to 190 in three months. Awesome! Keep it up, Paleo. Diabetes has only “skyrocketed” in the last 30 years. So some of the important changes have happened since 1970. 5) less consumption of raw food, cooked vegetables, etc. Is there a definition of “grain”? I would call it seed from a grass. Wouldn’t that include flax seed? from wild forms and even from early cultivation. I am thinking the problem is not “grain” but “highly cultvated grain” which is calorie enriched and nutrient depleted .